Do you use one of these? If so, you’re going to have to go through a few hoops at our tournaments. For those unaware (and the newer people who have just stumbled upon us), wireless synced controllers are banned from our tournaments. This is NOT an attempt to segregate our pad users. They are also banned from various national events including Evo. Reason for this is issues with syncing and pausing the game, resulting in tournament matches being interrupted and therefore ruined. Simply plugging in the USB cord is enough as the controller is still synced with the PS3 when you unplug it. We’ve tried to come up with various methods around this issue but none have proven to be fool-proof and many matches were ruined as a result. A PS2 wired controller hooked up to a PS2/PS3 converter or something involving a wired connection. An official SFIV FightPad or another type of controller that utilizes a usb receiver that connects into the PS3 and is de-synced after you unplug it. Additionally you can just ask us before hand if the specified pad is allowed. 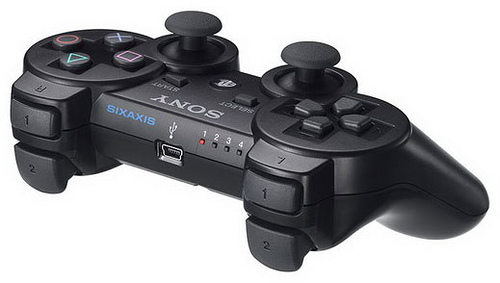 There is a controller out there that is exactly a dual shock 3 controller but does not use the ps3’s bluetooth. It will only work if its plugged in via the usb cable. That controller would be allowed. Sorry for the inconvenience but this has proven to be our most effective method in running a smoother event.